Traveling with dogs can be a daunting task especially for people who own one of those hyper breeds that can mess up the trip anytime. But using Petego Pet Tube Kennel for dogs enhances safety and comfort while traveling with your dog, learn how and why you must buy. A creative mind saw the need to design a portable pet tube kennel that keeps pet dogs comfortably in the backseat while the car is moving. The Petego Pet Tube Kennel comes with a super strong lightweight fabric that combines an excellent blend of style and durability on the go. It blends a uniquely designed style that features a modern living combined with strong and durable material, and this is one thing that makes this product quite unique. 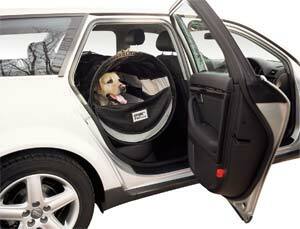 It’s light in weight, making traveling with pets less demanding. Ideally, the tube makes traveling with your pet dog enjoyable. The adjustable features makes it possible for the tube to fit anywhere regardless of the space at the back of your car seat. 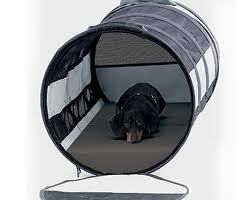 This Pet Tube Kennel comes in two different sizes to choose from. It comes in both large and small sizes to cater for all needs. The larger one measures 47 inches and is capable of accommodating a fully-grown dog. 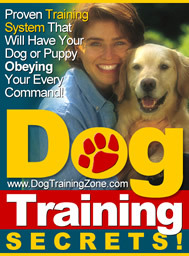 On the other hand, the smaller version measuring 18 inches is perfect for smaller breeds. Both products are portable despite the varying sizes and they comfortably fit in every car’s back seat. If space is a major concern, users can easily adjust the larger version of this pet tube to fit the back seat properly. It’s flexible, allowing dog owners to travel with their dogs even if other people are sharing the back seat with their dogs. And when it comes to storage, you’ll be amazed because it easily slides off with both ends zipping up, giving you the chance to store it in the trunk without ever worrying of space constraints. The optional pillows are sold separately and these enhance comfort for pet dogs. For one, the pillows allow your dog to relax, and two, they still leave enough space inside the tube kennel, making it possible for your dog to move around. They can even jump up and down while inside the kennel. There are many pros than cons with this product. It’s a great product with simplistic features making it user-friendly. Just like you’d expect, it’s portable and easy to clean and store. Besides that, the fabric is very strong, allowing users to get value for money. If you buy the large tube, it might consume too much space so that accommodating a large family in the car won’t be possible. However, people who travel with a large family can always invest on the smaller version of this product. 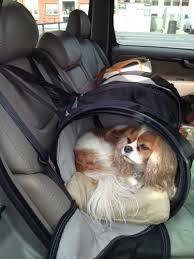 There are many ways to travel with your pet dog without going through hassles. This Pet tube kennel review highlights the exact information all dog owners need to know. 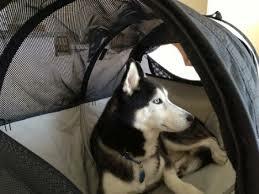 Investing in a pet tube kennel would be the wisest choice to make before setting out on that long journey with your dog.